If you’re a first-time traveler one of the most daunting and time-consuming sets of complication, you’ll experience is not the journey itself but managing your money. You need money for traveling but most importantly, you need to have a financial plan or great money management skills to make traveling exciting. This little guide will share key ways to manage your money as a traveler. It covers importance of setting a budget, managing finances while on the road; all the way to handling debt as a traveler to what to consider [about money] when other people are involved in your traveling as well. Poor financial decisions will hinder your traveling abilities, so before you depart ensure to assess your financial situation. You need to understand how much money you need to make traveling possible. Have a proper financial plan in place. Without assessing your financial situation prior to departing, you will experience a difficult time, and things can get tough. So to avoid all this determine your traveling budget. How much have you set aside for traveling? How many expenses will you incur? Are you planning to minimize expenses? How will you manage your shoe-string budget while on the road? All these are important questions. And they’ll help you decide whether traveling around the globe is worth your while. But perhaps the key question is, what kind of budget do you need to have before traveling? Do you need to have a set amount of money before you start traveling? This is not an easy question because there is no specific amount of money you can precisely say travelers start with. You can however perfectly answer this question by asking yourself how long you plan to be on the road, and how far you plan to go. This will help determine your budget. In other words, define your trip to determine the exact amount of money you need to start traveling with. Once you know where you’re going, make sure to find out the cost of living in that place or country and this will help you estimate your traveling expenses. Where should I start? If you’re planning to travel abroad find out the cost of air tickets, and how expensive starting your traveling from there will be. What am I going to do there? What’s your traveling about? If you’re planning to volunteer on a mission, it is less expensive than say mountain climbing, skydiving etc. Why am I even taking the initiative to go there in the first place? Understand the main reason you’re going where you are going. Are you travelling for a vacation? Once you understand what your traveling is about, a lot of things get clear. Even assessing your financial situations becomes a breeze. But you must remember it takes time to come up with a price tag to your traveling. It can take months even years of financial planning. Having a good budget in place is not enough. In fact, there is more to managing your traveling expenses and planning your finances than just coming up with a budget. The way you spend money or expenses you incur while traveling is not as important as organizing and managing your finances, which will help you see the bigger picture. Are you saving your money while traveling? And how much are you investing while on the road? Most travelers know they need a lot of money while on the road. So you need to find a way on how to grow your finances while traveling as well as watching on where your money is going on a daily basis. So the first thing you need to do is decide whether you’re going to be using a credit card or debit card or whether you’re going to bank your money. And where exactly you’ll be banking when traveling. This will highly depend on where you’re going or where you’re from. Also, make sure to keep your monthly expenses on the low. Take advantage of online banking and avoid signing (bank) paper statements, because you’re on the move with no permanent address. 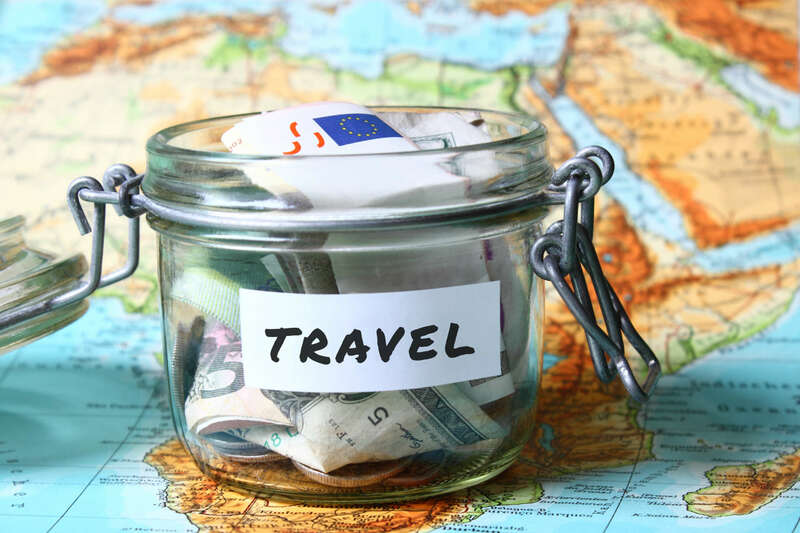 As a traveler, consider opening an online savings account to manage finances specifically for traveling. Make sure this account is a high-interest saving account, too. Many people want to travel around the world but are contending with huge debts or credit loan up to $10,000 online with bad credit that hold them back from any form of traveling whether short-term or long-term. If you have a debt to contend with the first thing you need to do is set a goal on how to manage the debt load. Traveling without a sustainable income will make situations difficult on the road because there will be paying of fees as well as regular payments of debts. So, before you embark on travel plans, get all your finances in order. As tough as it may seem you need a guaranteed income to make travel possible. Have a good debt management program in place to help you save a certain amount of money to kick start your traveling plans. This will get you closer to being debt free as opposed to paying too much focus on your debt. It won’t help things along the way. You cannot overstate the importance of planning for your future while traveling full time. But with so many things to contend with while on the road, it can be difficult to think about saving or investing for retirement. It is possible nonetheless. Earning more than you spend on the road. Remember to also invest in medical insurance in case of any emergencies. Medical emergencies can render you bankrupt if you are unprepared. Make sure to have a life insurance policy to cover any crisis related to your personal and family’s health. If you are a freelancer earning a variable income, you can save a percentage of your income for a rainy day. For instance, if you earn around $70,000 a year, you can set aside 10% or 20% for retirement. You can also create a savings plan where 10% or 20% get deducted automatically from your monthly savings (for retirement). There are months you’ll make more money than others but having a constant amount of money getting deducted will help you save more. For instance, you can set a system where $100 or $300 is deducted automatically every month. If setting up a monthly contribution system doesn’t work for you. Try having an annual contribution system instead where 10% of your total income is automatically deducted for saved. If you do this repeatedly, you’ll save more for your retirement (while traveling). Don’t forget to review your financial plan every year. This ensures contributions are well remitted even in your low earning months. Traveling can greatly impact finances, and it gets worse when someone else is in involved in the picture. It is easier to get into greater financial problems when traveling with a romantic partner or friend who constantly borrows money. Adjusting to a nomadic lifestyle can become difficult if you and your partner are laden with a debt load, have different income, and different financial plans and savings. Differing spending habits can also get on the way to reaching your traveling goals. And this can cause a financial problem especially if your partner wants to spend more money inappropriately, while on the flip side, you want to save more for a rainy day. To make traveling worthwhile and fun, it is important to have a proper financial plan in place which guides your spending habits. A detailed financial plan acts as a roadmap that helps you come up with ways to create a good budget, organize and manage finances, how to handle debts while on the road, and what to consider when traveling with others. With a well thought out financial plan in place, you’ll enjoy time as a traveler.